A job offer has recently been posted on the official website of the German capital, searching for Russian-speaking extras to take part in US Army military exercises. Bundeswehr lieutenant-colonel in retirement, Jürgen Rose, believes that the drills are a preparation for an armed conflict with Russia. The job ads offered Russian speakers a daily wage of 88-120 euros ($94-$129) to play farmers, shop owners and other improvised local residents in fictitious villages set up at the Hohenfels training grounds for upcoming NATO drills. The exercises are due to take place between April 28 and May 15. In Rose's opinion, the motives behind the job offer are "quite obvious." By organizing the role-playing games, NATO forces are preparing for a direct military confrontation with Russia. "This is not the first time such exercises have taken place. In the past, people were hired to participate in military training, dressed in long robes and turbans — for a scenario that seemed most likely at that time. So it is clear why this is done now. 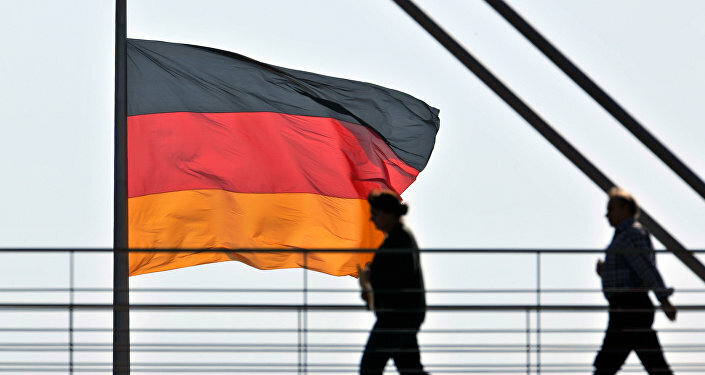 There is obviously a preparation for conflicts on NATO's eastern border," the expert told Sputnik Germany. The relevant job ad is still up on the Optronic HR website us-statisten.de and states that the extras will represent the local population of a crisis-hit region in order for NATO troops to prepare for missions abroad. The extras are expected to have a basic knowledge of English, German, Polish or Czech, aside from Russian. According to Rose, there are no doubts that in these exercises, Russia will consciously be presented as an enemy. "There is nothing unexpected in it. If you look at the statements that were made after the entry of Crimea into the Russian Federation and the start of the fighting in Eastern Ukraine, then Russia was quite clearly called an enemy, an evil force operating behind the scenes. And this approach has not changed," the expert argued. NATO has been increasing its military presence in Eastern Europe and the Black Sea since the outbreak of the conflict in southeastern Ukraine in April 2014, in response to what it considers to be Russia's aggressive foreign policy. Moscow has repeatedly dismissed the Ukrainian-related accusations leveled at it, warning that increased NATO activities near the country's borders could undermine regional and global stability.